Because of my construction and environmental law experience, I call myself a “dirt problem lawyer,” but first and foremost, I’m a business attorney. My team and I have to figure out the best economic resolution for our client, and usually that doesn’t mean litigating a dispute for two years. At times, however, we must draw a line in the sand and say, “We won’t cross it.” I tend to view myself by nature as a negotiator, mediator and problem solver—unless that line gets crossed. Then I’ll come after the opposing party with everything I’ve got. 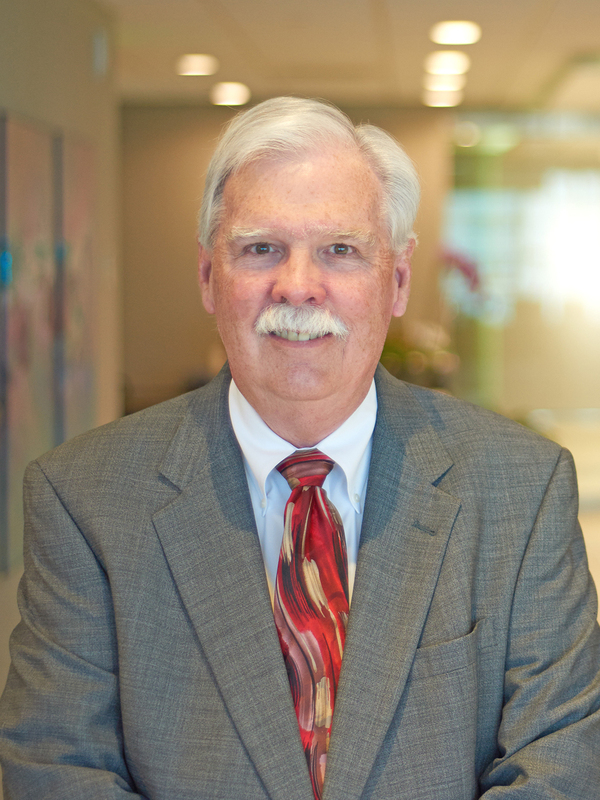 Jim Dickson represents owners, contractors, subcontractors and suppliers in all aspects of construction law, including bidding, contract preparation and negotiation, surety bonds, claim resolution, ADA claims and litigation of construction defect claims and monetary disputes. Jim helps clients navigate a broad array of environmental issues, including those concerning hazardous substances, contaminated property, Brownfields, asbestos, RCRA, CERCLA, toxic torts, surface and waste water discharges, air emissions, notices of violations and consent decrees. In mediation, arbitration and litigation matters, he advises clients in land use, title, trade regulation, commercial litigation and general business negotiations. With construction law experience working with issues that involve geotechnical engineering and the clean-up of contaminated building sites, Jim was an obvious choice to take on environmental matters and grow that practice when his firm first started handling Superfund litigation in the late 1980s. A long-time advocate of conservation and rational stewardship of the planet, he believes strongly that, for the sake of ourselves and our children and grandchildren, we need to preserve our natural resources by increasing density on existing developed infrastructure rather than building upon natural wildlands, and to counter the causes of rising sea levels. Jim writes and speaks extensively on construction and environmental law issues. In addition, for 25 years he has taught a course in environmental hazards involving real property at Stetson University College of Law. He believes teaching makes him a better lawyer because law students often raise difficult questions, which requires him to stay on top of any and all new developments. He conveys to his students that a good attorney deciphers the key economic and psychological issues between parties in a dispute or negotiation, anticipates potential points of contention, and suggests options to avoid such problems. In keeping with his commitment to community service and because he feels lawyers need to ensure that everyone has access to the legal system, regardless of background, Jim serves as pro bono president of his local Legal Aid Society.